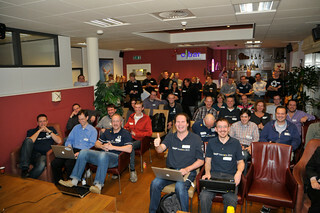 Only one month to go, SAP Inside Track NL will take place on December 8th 2012. It will be the fourth episode of the SAP TechEd XPerience. Relive the SAP TechEd vibe in the Netherlands. Join SAP Inside Track, sitNL in short, and learn from your SAP community peers. If you're joining SAP TechEd in Madrid, and want to share your findings with your peers, please feel welcome to join our event! This year we even have added a pubquiz to the event. Sven van Leuken will act as experienced quizmaster - a not to miss element. More info in my blog on SDN. Registration via the wiki site / Google form.